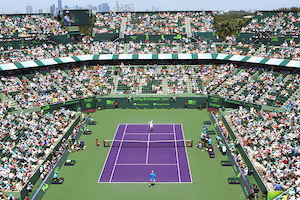 The hype preceding the third round match between Roger Federer and Juan Del Potro was off the decibel meter as these two set to collide in the third round at the Miami Open. Federer conquered the Argentine 6-3, 6-4 to advance to the fourth round. After two wrists surgeries over the last few years, Del Potro has slowly worked his way back to a ranking of 29. This was the 21st match between the two. 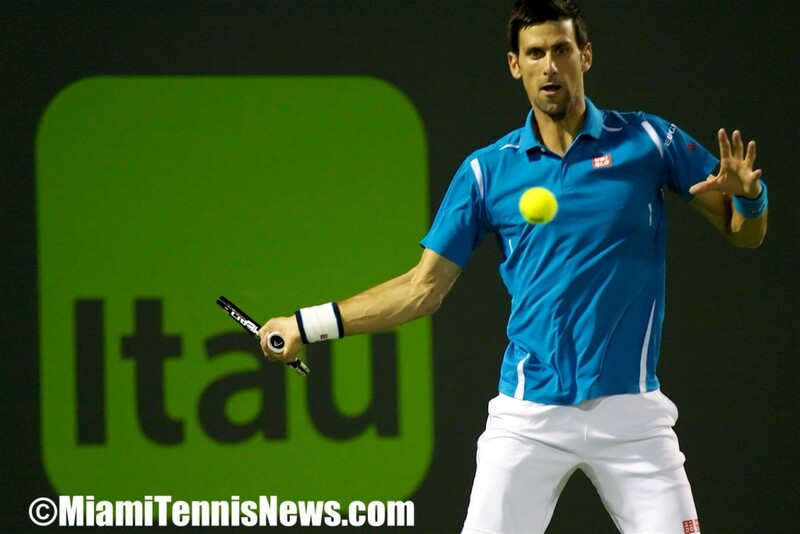 Del Potro had beaten the former world number one in the U.S. Open final in 2009 as well as in the final at his home town tournament, Basel, in 2012. Although Federer has a 15-5 mark against the Argentine, Del Potro had won 3 of their ultimate 5 meetings. The opening set was uneventful until the sixth game when a backhand down the line winner gave Federer double break point. 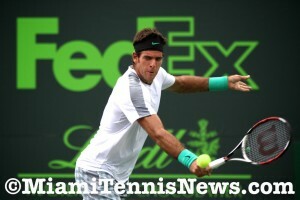 Del Potro rebounded with a couple of great serves to level the set at 3 all. But, he could not escape a second time. 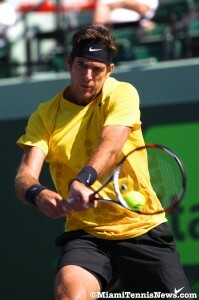 Subsequent to a untroubled hold by the reigning Australian Open champion, Del Potro again was asked to overcome 15-40. This time around, when Federer’s forehand pass landed for a winner, he secured the break for 5-3. Del Potro put up some stiff resistance the next game, getting to 15-40 with a beautiful forehand crosscourt winner. Federer replied with an unreturnable serve and forehand down the line winner for deuce. Two more chances to break for Del Potro went unclaimed. 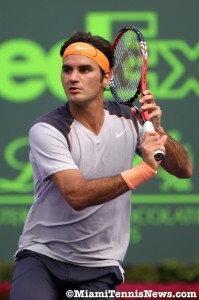 Eventually, two consecutive volley winners allowed Federer to take the set. The second set was similar to the first with Federer manufacturing 15-40 in the fifth game. Because of a sleuth of miscues by Del Potro, Federer went on to collect the break and swiftly consolidated for 4-2. 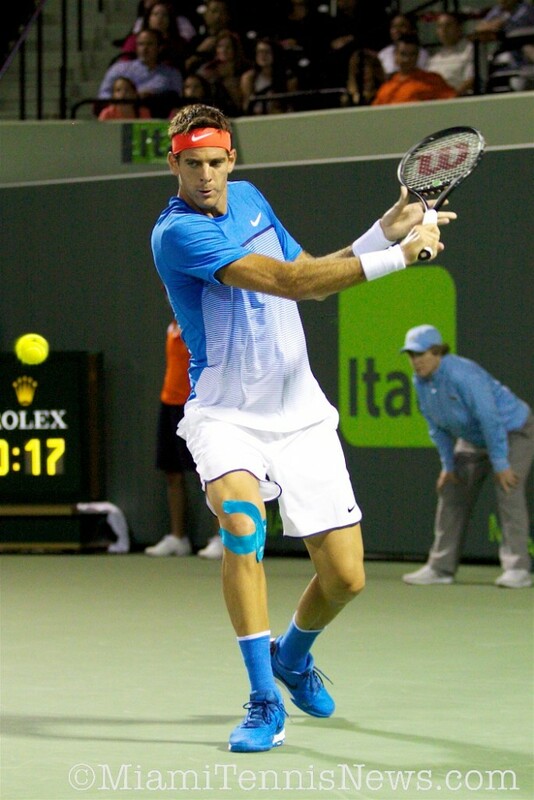 In the eighth game, Del Potro had an opportunity to break and get back on serve. 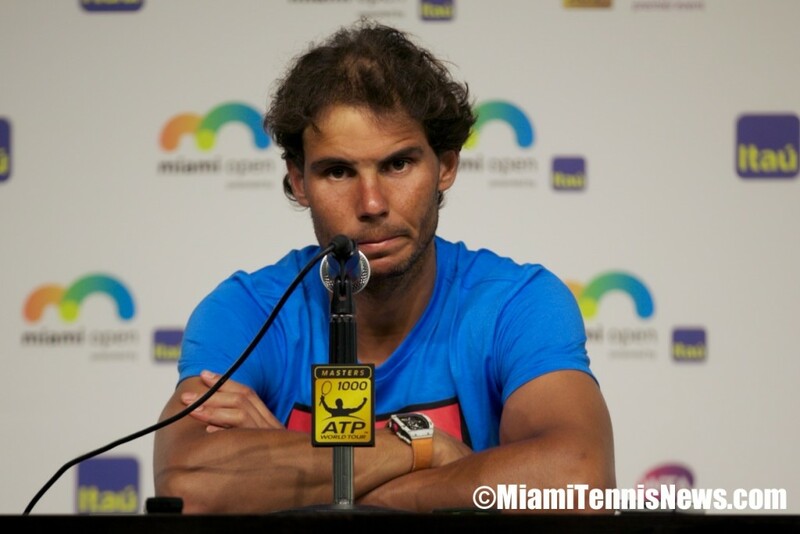 But, the Argentine’s forehand, his best stroke, failed him. Federer served out the match and booked his place in the round of 16.